Time to detox from all of the heavy holiday foods and get back on track. 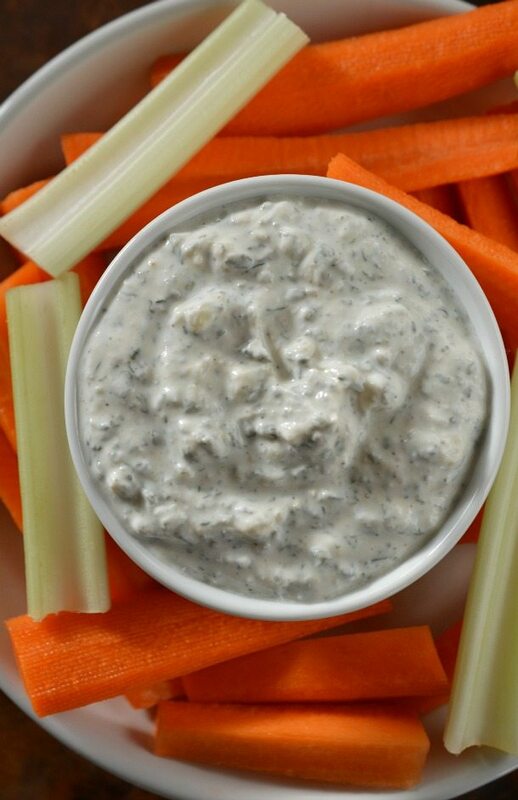 With the help of Weight Watchers and healthy snacks like this Homemade Ranch Dip and veggies. Get a jump start on those New Year’s resolutions! Getting this opportunity to partner with Weight Watchers could not have come at a better time for me. I have been preparing for a blogger retreat that just so happens to be on a Caribbean cruise. Two weeks from now I will be sporting my new bikini bod! I am great at losing weight and am down 4 sizes since June. Maintaining that weight loss is what I have trouble with. Once that goal has been reached, I totally lose my motivation. This is where I need a little extra help and support. I have known many people that are Weight Watchers success stories. The Weight Watchers mission is to change people’s relationship with food for good. And that is what I need. I am taking advantage of Weight Watchers new One-On-One Support. Personal Coaching is real support from a real life person who wants to help you reach your goals. I scheduled a phone call with my coach, Alyce G. We chatted for 30 minutes about my goals, struggles and plans. After our conversation she emailed me a written Action Plan based on our conversation. 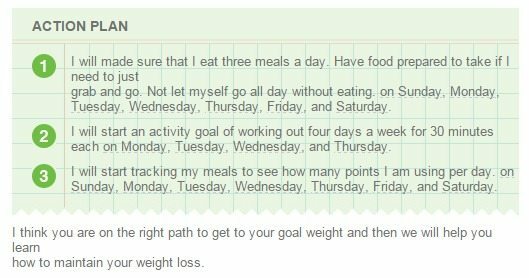 As you can see in my Weight Watchers Action Plan, I need to work on consistency. I’m guilty of skipping meals and work outs. I don’t keep packaged convenience foods in my house because they are usually not the healthiest choice. The problem is, that is really inconvenient. I am crazy-busy! My days are filled with errands, cleaning, kids, work and other random responsibilities. Often that means I don’t even think about eating until late afternoon. This is a terrible habit that needs to be broken. So first I need to come up with my own healthy, convenient grab-n-go foods. 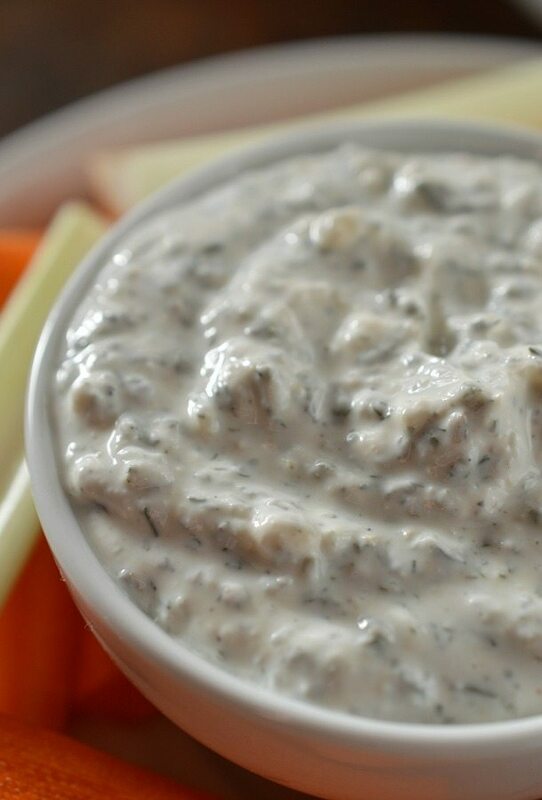 This Healthy Homemade Ranch Dip is high in protein and flavor! If I mix up a batch of dip and pre-cut my vegetables this will be a quick, easy and nutritious snack! Weight Watchers also offers members 24/7 support from a team of coaching experts via online and mobile chat. Seal in an airtight container and refrigerate for 2+ hours before serving. Makes 1 cup total. Each 1/3 cup serving is 1 Weight Watchers Point. I’ll be sharing about my Weight Watchers journey over the next 3 months. I hope you will join me! Consistency is key!!! 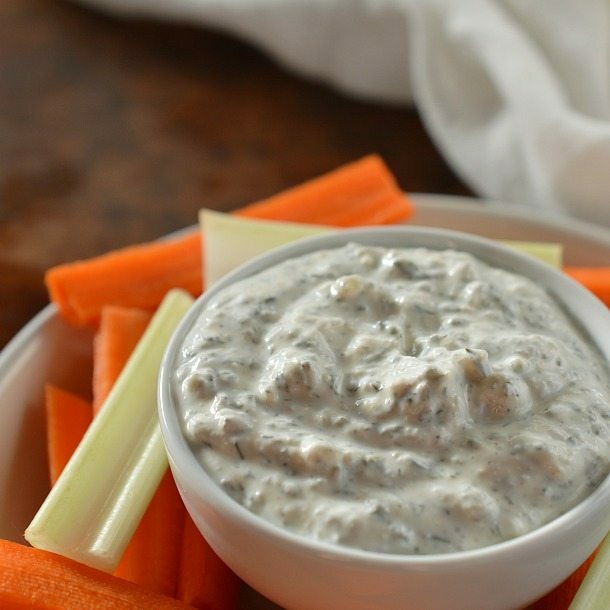 Love that you used Greek yogurt in this healthy appetizer!! Keep up the good work! Everyone loves ranch dip. How great to have a lightened up version. We go through ranch dip like crazy in our house. This is great to have a healthy option now. Such a perfect dip recipe. I could use this in so many ways! Homemade ranch dip is where it’s at! This looks so delicious and healthy!